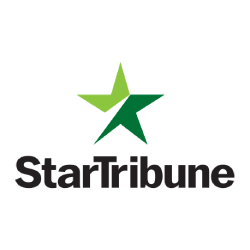 Proximity to the future Bottineau light rail transit line was one of the factors in Alatus’s decision to build a luxury apartment project in New Hope, the Minneapolis-based developer said. Alatus wants to build a 183-unit complex on a city-owned 3.5-acre site just east of Highway 169 along Bass Lake Road. 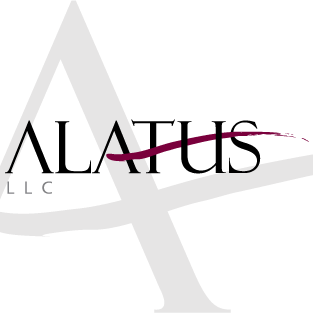 The city’s Economic Development Commission will vote late this month on a development agreement that would allow Alatus to purchase the site for about $1.75 million. The $36 million project would rise in a primarily residential area on the north side of Bass Lake Road, immediately east of the city-run New Hope Village Golf Course. It has yet to be named, but representatives for Alatus believe they could break ground as early as midsummer. The complex will “feature an extensive array of amenities, and is thoughtfully designed to maximize the potential of the lot by emphasizing an energetic and active lifestyle as a complement to the neighborhood,” according to the developer’s project narrative. Most of the 250 on-site parking spaces will be underground, Osmundson said.The project, with early rent estimates at about $1.75 per square foot, would be the developer’s first multifamily development in the Twin Cities suburbs and comes after last September’s completion of the Latitude 45 apartments in downtown Minneapolis. Developers like Alatus have turned their attention to the suburbs over the last 12 to 18 months, with an emphasis on upper rents from $1.65 to near $2 per square foot, depending on location, said Matt Mullins, vice president for Minneapolis-based Maxfield Research. Where New Hope would fit in that market remains to be seen. City leaders are optimistic the Alatus project can serve as a springboard for future redevelopment. New Hope has a 1.2 percent vacancy rate for apartments, among the lowest in the Twin Cities, according to a just released 2015 fourth-quarter Apartments Trends report from Minneapolis-based Marquette Advisors. The metro-wide vacancy rate is 2.3 percent. The low vacancy rate can be tied to the fact that New Hope has had few new apartments come on line in several years, Sargent said. New high-end apartment projects in cities like Golden Valley and St. Louis Park are seeing as high as $2 per square foot in rents because they are closer to the urban core and a number of corporate employers, Mullins said. But an apartment complex with slightly lower rents and similar quality of amenities could appeal to some apartment shoppers, he added.New Hope and Alatus first discussed redevelopment at the site last summer. In September the parties signed a preliminary development agreement that gave Alatus exclusive negotiation rights for redevelopment at the site, Sargent said. Last week, the New Hope Planning Commission approved a preliminary plat plan for the project and rezoning the site from R-4 high density residential to planned unit development. The Economic Development Commission is expected on to vote March 28 on approval of a development agreement. The city purchased the land in 2008 for $2.3 million. That included costs associated with demolition of a former 60-unit apartment complex that Sargent described as underusedat the site. The apartments were in various states of disrepair, according to a planning report. About eight years ago the city had a developer – PariPassu Cos. – lined up to bring a 120-unit condominium to the site, but the deal fell through during the housing market crisis, Sargent said. Since then the city has been waiting for the right time and the right developer to take another shot. “When it’s all said and done we know what it’s going to look like; we have confidence in the developer and we know what’s being built is going to be beneficial to the city over the long term,” Sargent said. Alatus has selected Bloomington-based Doran Cos. as it general contractor and architectfor the project, Osmundson said.